This charismatic new species of longhorn (Derobrachus cusucoensis) from montane forest in Cusuco National Park adds to the biological valorisation of the area. A small isolated mountain, part of the Merendon mountain range, Cusuco National Park is a cloud forest park characterised by a high endemism. As in many other places in Honduras, deforestation is a serious threat. 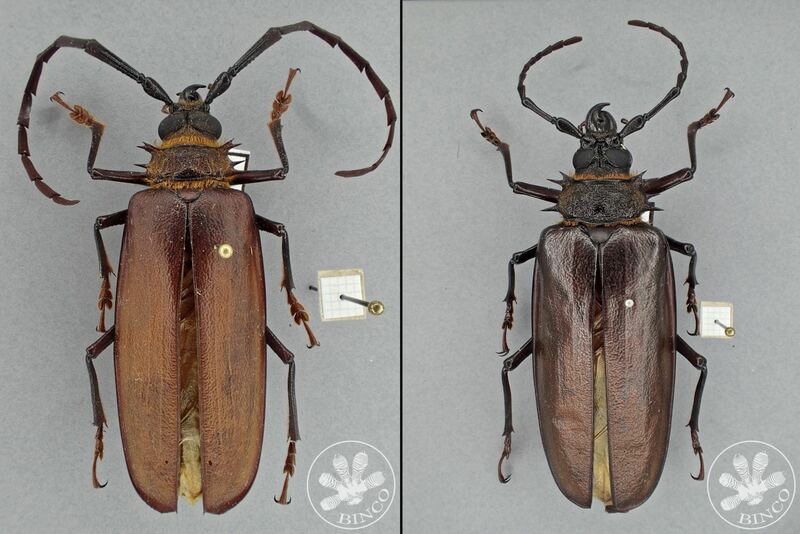 The newly described large beetle is a frequent visitor of the light trap surveys as part of the yearly repeated biodiversity monitoring by Operation Wallacea in collaboration with BINCO. BINCO specializes in the documentation of smaller and less studied taxonomic groups to complement local conservation efforts and help protect these unique ecosystems. The species is described in the scientific journal Zootaxa and can be retrieved here.